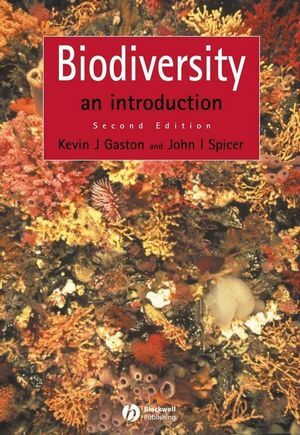 This concise introductory text provides a complete overview of biodiversity - what it is, how it arose, its distribution, why it is important, human impact upon it, and what should be done to maintain it. Designed primarily with undergraduate students and course lecturers in mind, it will also be of interest to anyone who requires an overview of, and entry to, the vast literature on these topics. Kevin J. Gaston is Professor of Biodiversity and Conservation at the University of Sheffield. He has broad research interests in the fields of biodiversity, macroecology and conservation biology. John I. Spicer is a Reader in Marine Biology at the University of Plymouth. His research interests range from the ecophysiology of marine animals through to the functional biodiversity of marine systems. A Brief History Of Biodiversity. How Many Extant Species Are There?. Extremes Of High And Low Diversity. Populations, Individuals And Genetic Diversity. The Scale Of The Human Enterprise. General Measures For Conservation And Sustainable Use. Sustainable Use Of Components Of Biological Diversity. The artwork files from the book are stored in a ZIP archive. If your computer is not capable of opening ZIP archives, you can download a free trial of Winzip.